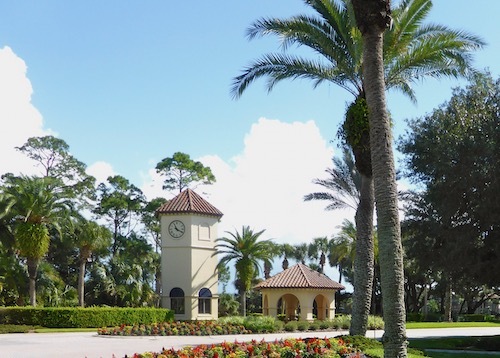 The City of Palm Coast is an enormous planned community of 72,000 located on Florida’s northeast coast, equidistant from the large cities of Jacksonville and Orlando. Located on the coast like it is there are many great beaches for its residents to enjoy, along with many other activities. Many,but by no means all, of its residents are retired. Palm Coast is one of the more interesting hybrid communities in existence. Planned originally by ITT as a huge development, the community is now incorporated as a City, with a traditional form of city government. Palm Coast Beach is located in Flagler County. The City of Palm Coast is the 4th fastest growing “micropolis” in the Southeastern United States -it grew 120% from 2000 to 2008. Fortunately it seems to have a plan to control and direct its growth. Unlike most cities this one has a vision statement that it expressed in its comprehensive plan. Some of what Palm Coast strives to be is to offer exceptional quality of life, attractive job opportunities, diversified housing, and superbly designed commercial areas, valued natural, recreational, and cultural resources, exemplary public facilities and services, and responsible growth and fiscal planning. Photo of Princess Preserve courtesy of Wikipedia and Jessica Bear of Innovative Eyes Photography - Palm Coast, FL. 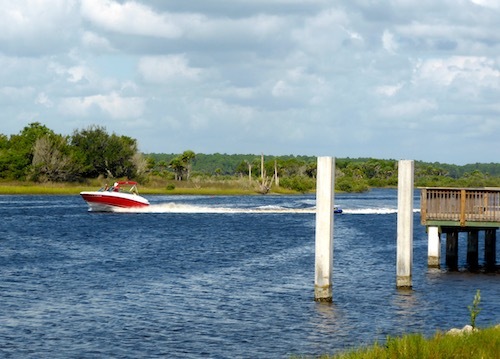 Palm Coast gives people the chance to live in a new and interesting planned development. They can choose from a variety of housing alternatives, from active communities to stand along houses. A Continuing Care Facility is in the planning stages. The median price of a home slumped in the 2008 recession, but has come back since. In mid-2018 the median home value was $210,000, according to Zillow.com. Many desirable rental apartments are available for less than $1000 per month. Homes on the water will be more. A master planning document; Intracoastal waterway; Many residential options for retirees; Many community parks, nature preserves, and state parks; Palm Harbor Shopping Center; Frieda Zamba Swimming Pool; 8 championship golf courses; Indian Trails Sports Complex (164 acres). Hurricane season. This community might be too big and too busy for many people. On a recent visit there was a lot of traffic on the central arteries. There is also no real town center - there are shopping malls and plazas, but no real community center. Palm Coast is not really a retirement community, it was intended to be that way but that has changed. The community is planning a new grade school each year for the next several years and has 3 high schools with another in the works. Palm Coast is in the northern portion of the east coast of Florida. The intracostal waterway and many canals run through the area. Most areas less than 6 miles to ocean. Very hot and humid for long periods but a very pretty area. Palm Coast is a large community and there are some cultural events available. However your choice of independent restaurants is going to be slim. For culture you will probably want to head to nearby Jacksonville, which has many venues to choose from. Crime in Palm Coast is relatively low. Memorial Hospital Flagler Sw is 9 miles away in Bunnell, but for more serious situations the big hospitals in Jacksonville will be where you will go.